Blog posts are the best ways to promote your brand, but get more traffic for your blog try to share it on the social media network. Twitter is one of the best social media channel that can be used to get more traffic to your blog post. There a different ways that can help to use Twitter for sharing the blog post. 1. Repurpose the content- Twitter is used to get traffic for various blogs as many people like to view different type of content through this platform. Repurposing the content can be done in different ways like using videos and images. The users like to share images in their tweets as it is known to attract lot of people on this platform, but you must tweet the title and link of your blog pot as text along with an image to make it interesting. To use video, try to select it which is really short. Just record a short video and post it on Twitter to see the response from your audience. You can also use Twitter to share live video related to your topic. Once you have posted blog content, try to share it with your followers through live video which will encourage them to visit the blog. 2. Use blog link in tweet- You have to use the link of your blog post in your tweet not just once as you can use them whenever you share a tweet on Twitter. But make sure you don’t post the same tweet with the link as you must share different tweets during the day with the blog post link. You can also automate tweets related to your blog using a number of tools which can be useful in making your promotion campaign for successful for the blog post. The blog will easily get promoted when you automate the tweet and you can also get more new followers when it is done in the right way. 3. Refer the audience- This is very simple to do whenever you see an interesting person, try to share their opinions in the blog post. Then you can promote it on Twitter and reach the person by just with a mention. The influencers are the best person to get your blog post promoted on the social media channel and they are also the most active people to share it i the blog post. 4. Use the click option- Once you have completed writing the post, try to add a click option to support the viewers in promoting your content on your behalf. With this option it is possible to make the viewers to share their quote and link it back to the post with this click option. There are also tools to do this which includes Click to Tweet that is available for free. When the viewer clicks the link in your blog post, they will be taken to Twitter and ask them to tweet a link with editing option. Influencer marketing is the best option while promoting your product on the social media platform, but some of the brands are not aware that it is a perfect option for them. The following are steps that help to understand that the social influencers are best for marketing strategy. The influencer marketing on the social media platform is very important, but you must know where it works perfectly to be more successful. Social marketing can be done with the help of few influential people to support the brands in developing a good relationship with the audiences on social media channels. 1. Increase in influencer marketing- The influencers are the best option to reach new audiences by the marketers. It is important to have a good brand name on the social media platform and the marketers are looking for trusted personas to promote their products. The marketers must select creative messages to attract the consumers which are really the easiest way to do on the social media channels. The influencers will be able to increase the audiences preferred by the marketers which can save them time as well as money. 2. Audience numbers- The brands usually look for the number of audience available on each social media platform and use it to get to their social influencers. You must also know why the audience will engage with the influencer which is normally due to their authenticity. The influencer followers will get engaged when they interact, listen and respond on the social media platform. When your product gets reviewed on the social media channel, there are chances that it may not been properly reviewed by the person that can be due to various reasons. When the social influencers will be authentic, it is possible that the opinions made by them are being influenced and they like to continue business relationship with your brand. Make sure that your influencer has a good number of followers to make them reach your brand which is an important process in attracting more audience through influencers. In case your influencer has less number of followers, the success rates will be really small for the brands who are using the influencers to promote their business. 3. Assessing influencer campaigns ROI- It is not easy to assess your marketing campaigns on the social media. There are a number of ways and tools available to manage the campaigns ROI, but they are able to provide the exact results. With influencer marketing, we can assess the social media accounts and make the influencer representing your product on the social media network. As a brand if you would like to know the ROI of social marketing campaign, assess the work allotted to the influencer. There are also chances that the influence has a bad reputation on the social media and post things that can affect your business relationship. In this case the brands will not be ready to work with the same influencers in future. Once you start using the social media network, you will leave your identity at some place or another. If you like to remove your previous identity from the social media platform, there are few simple things that can be done. Your identity can be seen in different ways such as images, comments, posts and more. There are a number of ways you can manage your online presence, but try to avoid being more serious when dealing with others on the social media platform. 1. Privacy settings- If you are using social media channel to support your business and the same account is used for your personal use, then it will become public easily. Try to use separate accounts for your business and personal use. There are also a number of tools that can be used to keep your professional profile different from your personal account. 2. Do a search- Just use the search engines to search for the name and use other words that are related to your account or brand. Apart from searching the text you must also search for images. If you are able to find anything related to your name, try to remove it immediately by sending a request to the person who is using it. Once you have deleted the content, it may still remain in the search for sometime become getting removed completely from the search engine. 3. Personal blog adjustment- There are chances that your personal blogs can become visible on the search engine, so try to edit the posts to prevent any kind of abrupt on your name. The blogs are mostly published on the search engine very easily and it must affect your professional life in any way, so try to remove or edit them to make it look perfect. 4. Remove all inactive social accounts- This is a very important part in cleaning your online identity. In the beginning you would have created different social media accounts for various purposes, but it is important to remove all those inactive accounts. By removing all your inactive accounts, the audience will be able to see only your professional account. If you are not using any of the particular social media account for a long time, try to delete it immediately. The posts in this account will remain until it gets removed completely. 5. Concentrate while posting- Always make sure that you must never post or send a reply in a angry mood as it can affect your online reputation. The people who will go through your profile will also see your replies on other posts, so try to concentrate before posting anything on the social media network. Avoid using any kind of offensive posts. Share interesting information that paints you in an attractive light to potential clients and you’ll increase the chances of contact with them. You can just interesting details that can attract more people and make your profile more interesting for the viewers. Having a policy for your social media of the company can help in different ways. Before creating one you must make sure that it meets all the legal requirements of your company. It must also give an opportunity for other employees to encourage your social activities. There are ways to create a separate policy for your social media platform. According to a report, most of the people like to share their company details on the social media, but they not aware what to share. So by creating a company policy, your employees will be aware what to share and not to share. 1. Use your business customs- Your business customs will define your company ideas and expectations which will be developed from a long time. Make sure to create the policy related to these customs and stay focused. Also look for other business policies on the social media platform to create your own. The policy of your social media must be able to support employee engagement and all the expectations from your company must be included in it. 2. Meet your executives- Try to arrange a meeting of executives from your company which must include stakeholders and other delegates of various departments such as HR, legal, IT, etc. You must discuss your policy writing which must be approved by all the members. Also highlight the employees related to your social media account in the meeting. 3. Plan your policy- Determine your policy scope on the social media platform as it will encourage in planning your policy. Make sure that the policy you are creating is only for your general employees and it must be applicable only for your social media members. The policy for your social media members must feature a new style guide that must be part of your company internal strategy. 4. Go through your state laws- The laws of your state will also affect your policy, so make sure it has been written under its rules. There law varies from different countries and states, so try to stay inside the rules which can prevent your company from getting any fines. Most of the countries are very strict while dealing with social media policy and make sure to read the laws before starting your company policy. If possible try to meet the legal department executives to know what the rules to be included in the policy are. 5. Explain the rules of your policy- The main aim is to make your company employees to become part of social media platform which will in a positive manner. Once you have made clear of the policy rules, the employees will be free to share the details about the company that are not confidential and help to develop your business. Try to support your employee to refine the problems faced by them on the social media platform. You must explain the basic questions in your policy that are necessary for your company employees. Twitter has been one of the best social platforms to support every business in their development. You can easily reach to audience in Twitter and engage them to promote your brand. Most of the people on Twitter just have these simple questions such as how to get followers, what to tweet, how to promote business and many more. Just start your Twitter profile which must feature the importance of starting this account for your business. Decide the things that you want to promote on the social media platform and tweet only relevant to it. To become more successful on social media channel like Twitter you must always share the details are right and there is no need to share your own content always as you can even use other users content. You can also become popular among the people once your information is useful for them and even attract others who are looking for same details. Twitter is also a perfect choice to develop a business relationship with your customers. When you like to share something important that is originally written by other, you can just tell the audience about the importance of this content and also mention Twitter handle from whom the content is actually from. This will recognize your support for other others content that is important and other users on the social media platform will also appreciates your work. You will also receive mentions about your content from other social media users so when it happens don’t forget to share its link. The most important thing in Twitter to get more followers is to follow some of the people on this social media. You will also get questions from people on Twitter about various things related to your profile so you must be ready to answer them. Most of the people will try to share things that like very much, so try to express your good feeling about the same content. Also mention the employees whom you want to reach to your brand and attract the partners to your company. Many business people like to use Twitter only to follow things and send a reply to others. You can also create list of people to start following on Twitter and assess them before sharing a content. Try to tweets things available on the articles on various online channels and make sure that it is really attractive for the readers. Also use a tweet on top of your profile that must be able to express your plan with the social media account. Everyone on Twitter wants to get attention from other users on the same platform, so sharing unique content about your business is the best ways get more engagement. The same works with other social networks, but Twitter is completely different as you can have direct engagement with other users. It is also possible to have live interactions with your customers on Twitter and solve things immediately related to your product. Developing your own personal identity on the social media can help to distinguish your profile from others. You can easily create a reputation for yourself and stand out in your industry. It is always important to be active on a particular social platform to make your profile easily visible to all. To make your personal identity easily reachable to the social media user, you must follow few simple steps. 1. Find your goal- This is a very important step as you would have to know what your main aim is and how people are recognizing your profile. Those who would like to make their content reachable to large number of audience, they must concentrate on their Twitter account and increase the number of followers. Try to create a unique branding plan that must make your Twitter profile stand out easily among the other social media profiles. Once you are able to develop the personal identity in Twitter, it would make it easy to connect with other people on this platform. 2. Using your skills- Try to use your skills to decide whom to connect on the social media platform and make yourself unique. Most of the people will be having a broad mind while creating their personal identity in social media, but will stay just as a marketer on this platform. Decide about the area of using your skills in the perfect way which will help to determine your personal identity. 3. Maintain social profile links- You must make sure to maintain a complete record of all the links of your social profile in spreadsheet. Mostly some of them will have at least 15-30 social media profiles which can help to maintain them without losing. If possible you must also try to review the social profiles in the spreadsheet regularly and also make sure to update them. 4. Creating positioning statement- This is usually created for products, but the same can be done to a person to improve their identity. Make sure to create a statement by recognizing your audience interest. Even though the statement is created about your, it must attract your audience. Also access how you are different from similar people on the social media platform. 5. Reliable look and name- While designing your social media profile you must use good style and colors which must look similar on most of your social media networks. The content used in your social profile must be memorable for all the users and it must look attractive. The users must be able to recognize your profile by just looking at its design, so try to create it in such a way. To make your name more reliable, try to reserve it in all the social media platforms. There are also special tools to search the social media for your name and most of the time your name will be taken by others so consider a similar profile name to make yourself easily recognizable. Getting more engagement in social media can be a hard way, but with few simple methods it is possible to achieve it. Having a good engagement on the social media platform can help you create awareness about your business and increase your followers. Social media has been considered to be the most important tool to improve your business as well as to promote your product. With some simple promotion techniques, it is possible to create awareness among people on the social media platform and convert them into leads. 1. Approaching your audience- One of the most advantage factor for any business would be their audience and approaching them carefully is very important. You must have some idea about reaching your audience on the social media network. Try to get the details about your audience like what they are interested in and what type of hashtags are used by them. Most of the time you can listen what your audience say, but sometime you have to discuss with them to know the best way to create a better engagement. Now most of the brand use Twitter to start social campaigns and you will be able to know what the people are interested in as well as to target a particular group of audience. 2. Use your followers- The most important aim of your business on the social media must be to stay open to all of your audience. This will help to maintain a good relationship with followers as well as fans. Even though you are using the social media to promote and sell products, try to be friendly with the people. Never try to promote your product forcibly with your audience, instead share the product in a unique way which must bring them to it. You can also start a contest related to your brand, so the participants will be able to get a glimpse about your product. By doing this you can also offer them a chance to display their unique creativity. This will help to create a good relationship with the people and you can use their creations to promote your business. 3. Connect with audience- Once you have started the social media promotion, decide about your aim. Try to create a plan which must contain the details about your future promotion ideas. You must have a time limit for reaching a particular target about your business along with your targeted audience. You can use the call to action method to make your promotion much easier for the audience to reach your goal. Reach out to people on the social media with campaigns, but before starting it you must reach to other groups relevant to your business. There are different ways to promote your business once you have connected with the right audience, but reaching them can be slightly difficult process. You have to use various methods to attract the audience like creating unique contents featuring both videos and images. Those who are using Twitter ads would like to get their investment back in a better way. 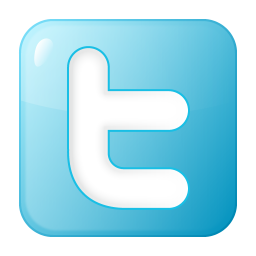 There is a ad quality score used by Twitter that helps to check the ads displayed and the amount paid by the user. You can follow a proper method to create your own Twitter content to improve the ads quality and increase the return on investment. Twitter is expected to support the engaging ads with rewards and also oppose the ads that are not performing well. This is almost similar to quality score from Google AdWords that features same type of algorithm in rewarding the engaging ads. Just follow this simple method to support Twitter ads score algorithm for better engagement in the Twitter ads campaign. 1. Twitter ads with creativity- The Twitter users always like to see new and fresh content, so it is always important to make your ads creative. Try to make your each ad to be different from the first ad. Even though the content in the ad is same, try to represent it in such a way that is looks creative as well as unique. This will provide a higher engagement as well as visibility for your ad. Don’t use same ads for a long time as it will not attract any audience, but make some changes so it looks unique to people who see it. 2. Take advantage of existing engagement- Try to use the already existing good tweets to promote your ads than spending more money to engagement. Paying more money for high-engagement tweets can only increase your organic performance, but people will like to share only popular tweets available in their networks. Promoting a content which is not popular among the people will not get any engagement and paying money for this will be a real waste. The organic engagement received for your ads will also be very less when compared to the ads which people want to see. Also avoid making payment for those which people are eager to see as it can be a waste of money. They would like to share the tweets that are popular, so investing to promote such a tweet can be avoidable. 3. Narrow your target- Try to use ad targeting features available in Twitter to find the most suitable audience for your ads. By doing this you will be able to narrow your searched people in a particular area and increase the tweet engagement. There are different types of targeting options available in Twitter that can be used to improve your ad targeting strategy to try. Try to create the ad that is more relevant to your audience which can create a chance to increase the engagement along with quality score. Twitter campaigns can be really effective, but you must know the best ways to use it in a proper way. Give more attention how the Twitter ads work within an algorithm to improve the engagement and get successful. CRM and social data are two important things that can added together to make your ad targeting more effectively and it can also help you to reach out with your audience effectively. Both these data are a perfect choice for your digital marketing campaigns. There are steps that can help to make use of these two important systems. CRM or customer relationship management helps you to access the present and future audiences using their data. After getting the details about them which only includes the email addresses, it is possible to divide the list based on your data. The CRM data can be a great option if you want to create your own email campaign to make it more unique. It is also possible to divide the customers who are regular in purchasing your product and include them into the email lists. Social data can also be helpful in improving the advertising campaigns and it is considered to be intangible when compared to the CRM data. You can always use your analytics dashboards to control the social accounts as it will have the entire data about your channels. It is not possible to see the user level details as you can just see the basic trends. You cannot be completely aware of your campaign targeting till it gets over. Putting both CRM and social data to create social advertising campaigns you must be able to guess the data using your ad targeting. In Twitter, you can upload the email lists into ad platforms directly to make the users to match with their email addresses. Then it is possible publish your ads to the users who have been successfully matched. The user’s activity is tracked in Twitter with the help of the email address and you can upload various lists related to your targeted audience segment. You must follow a particular method to upload CRM data in Twitter. To do this, first log into Twitter ads dashboard, then select Tools and Audience Manager. Now you will see an option Create New Audience, which must be selected and choose Upload Your Own List in drop-down menu. Try to customize the name of your audience and also choose data type that you are planning to upload. You must select the Email Addresses in Specify Type of Data in Your File and upload the CRM data. Once the data gets uploaded, select the option Create List Audience. You can only use the Twitter audience only after a day after creating it. Anyone will be able to achieve success in social advertising by combining both these data together. To get this process done in a perfect way you must make sure that the CRM data is divided correctly. According to a study, most of the email campaigns have been effective if they are combined along with the social ads. The same type of option is also used by other social media platform such as Facebook to include both CRM and social data together.